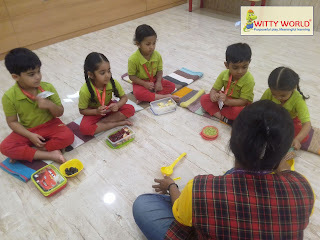 On the top of the World...: Fruit Salad Activity by Nursery Section (2018-19), Witty World, Goregaon East. 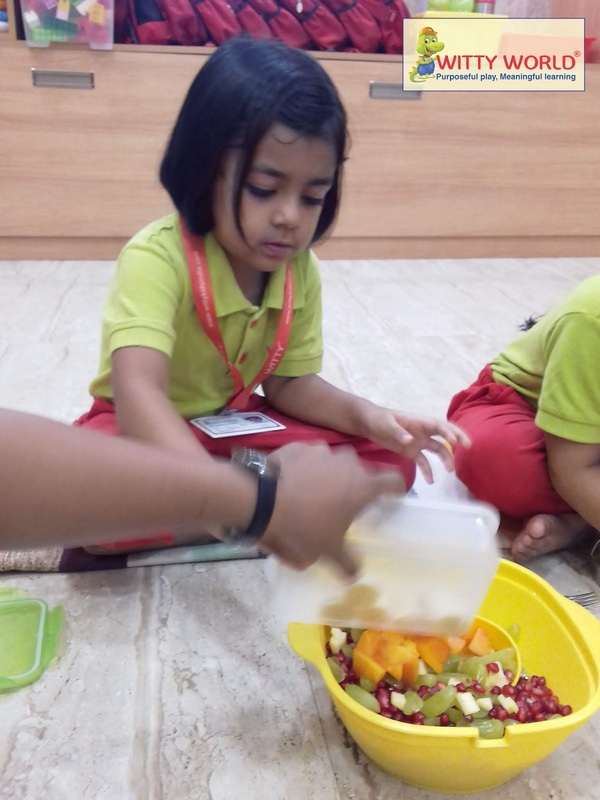 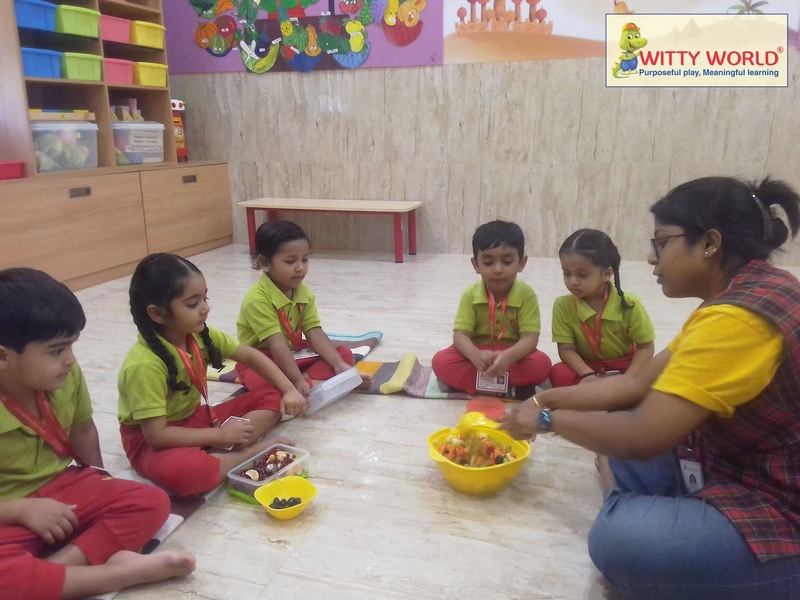 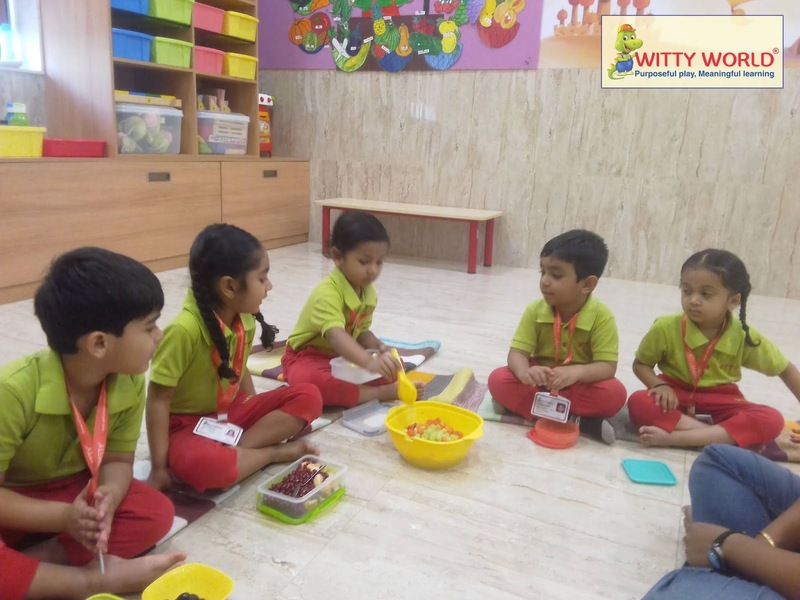 Fruit Salad Activity by Nursery Section (2018-19), Witty World, Goregaon East. 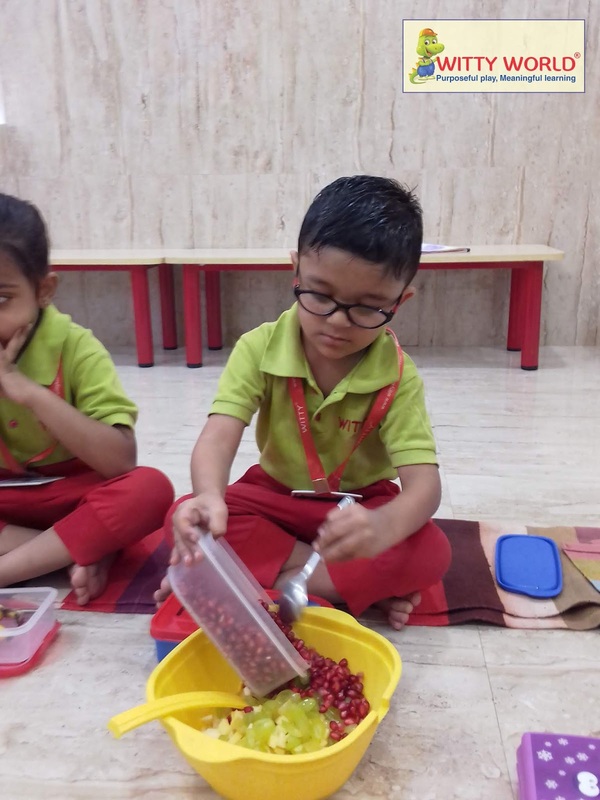 To me they're so yum! 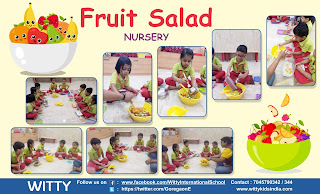 Eating fruits in the form of fruit salad is so much fun for Kids. We at Witty World, Goregaon (East) celebrated ‘Fruit salad Day’ on Monday, 18th March, 2019. 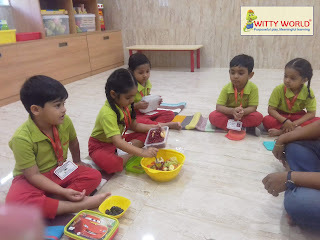 The children enjoyed mixing up the cut fruits and putting them together and the class was filled with a fruity aroma. 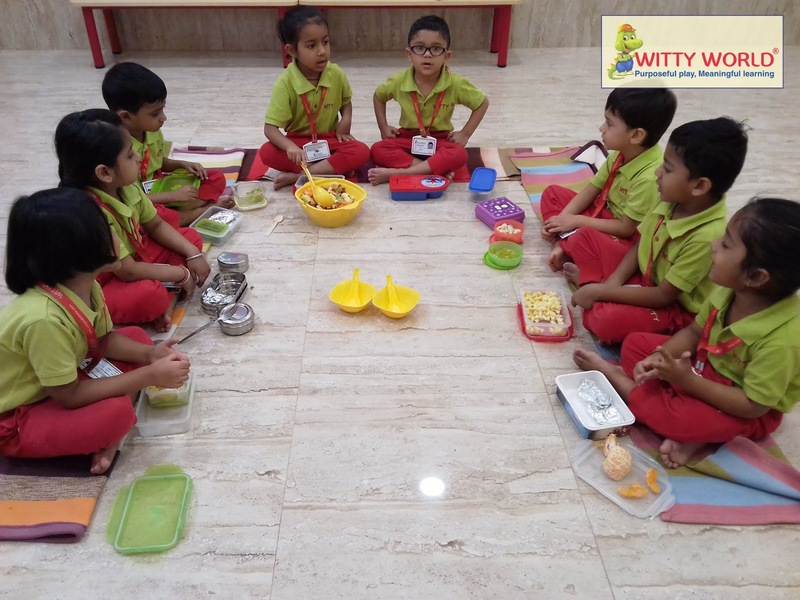 The different colours combined to form such a mouth-watering delicacy. They then ate the fruit salad and enjoyed the fusion of tastes. 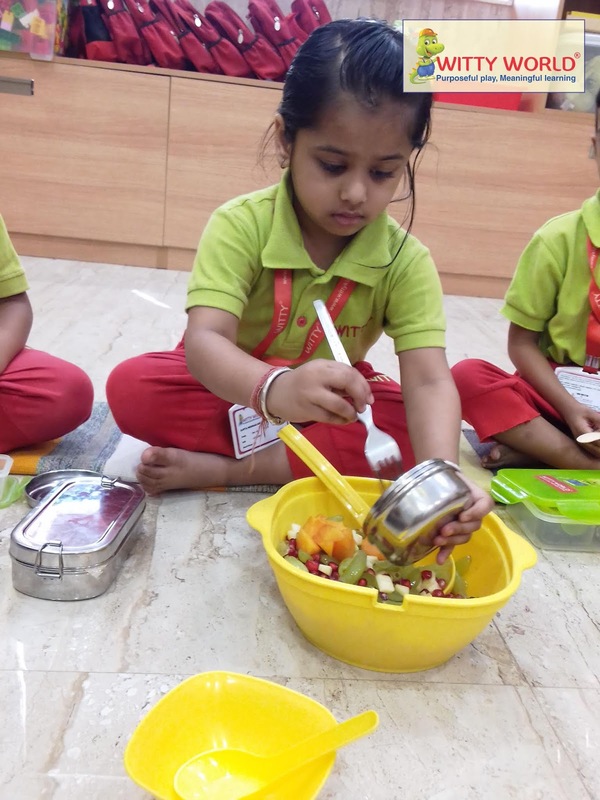 This cooking experience was not just about cooking but it was a delightful sensorial experience, and a great way of learning too!! !